In the video that every visitor to Rowe Sanctuary must see, before they go to the viewing blinds, Bill Taddicken, the Executive Director, calls “You Should Have Seen” the four saddest words in the language. It’s interesting, because the first two, “You should,” bother me enough that I almost never use them to others. “Should” connotes advice, and many don’t like it. Me, too. I actually try to follow some advice I’m given, but there is not enough time in my life to do everything “should” expects from me. But Bill’s four words are powerful. You Should Have Seen. I capitalize them, in order to emphasize that rather than annoyance, failure on my part, or unwanted advice, YOU SHOULD HAVE SEEN is a statement of what a situation was once like, before it changed for the worse and the opportunity was never again available. Bill uses two examples: YOU SHOULD HAVE SEEN THE BUFFALO MIGRATION, not stating the obvious, that we nearly exterminated this magnificent creature, a hundred million animals, in the 19th century by shooting them from trains, for sport, and letting the animals die a horrible death and rot on the prairie. This is a sad commentary on America. Bill doesn’t say that. I do. I would have loved to have seen the buffalo migration, to have studied it, to have learned from it. YOU SHOULD HAVE SEEN THE PASSENGER PIGEONS, before stating they went extinct in 1914, the year my father was born. This beautiful bird used to fly in dark clouds that blackened the sky, extending for miles. I can only imagine the view. I am angry my forebears exterminated this bird, and I never got to see it. I can understand how the next generation is angry with mine, for the species we have allowed to become extinct. Bill doesn’t want his daughter to have to tell her children, YOU SHOULD HAVE SEEN THE SANDHILL CRANE MIGRATION, because in the name of jobs, crops, recreation, sending water elsewhere, we took away the habitat the cranes needed along the Central Flyway of the US, where the cranes migrated for ten thousand years, after the last glaciation. Bill is fighting for the River, the Flyway, the Bird, and the Migration, one of two great ones here; the other, the Porcupine Caribou, is much more difficult to see. 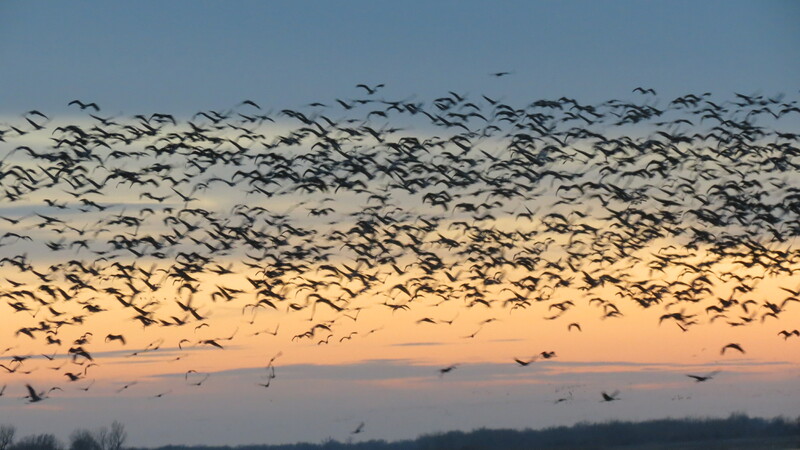 The Sandhill Crane migration can be seen six miles from Interstate 80 in Nebraska. For $25, one can spend 2 hours in a viewing blind and see something that Jane Goodall calls one of the great ten sights in Nature. Right in the middle of the USA. People get transformed by the cranes. Some cry. Couples hold hands. Some kiss, in a way they may not have for a long time. Some stare, eyes fixed on the scene in front of them, people whom I watch, but leave alone, for the people are spellbound. 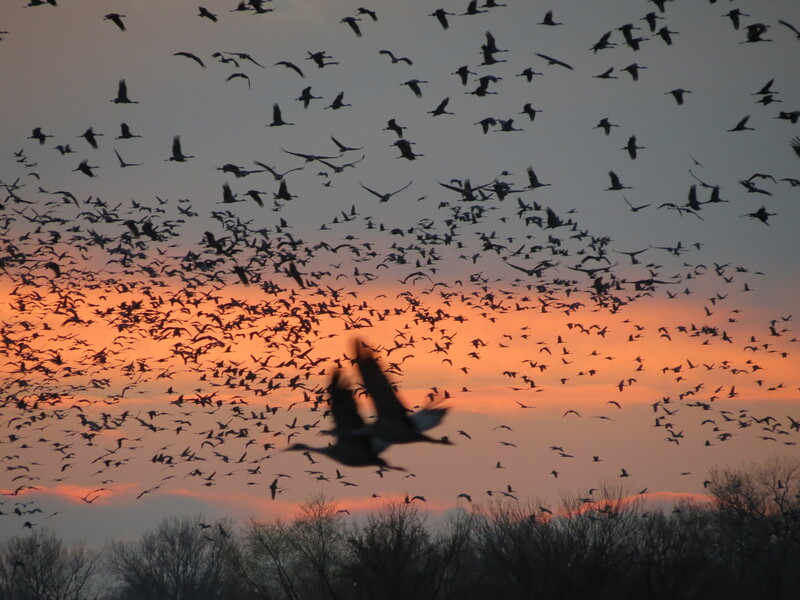 For them, this is not just a bunch of birds, it has become what some call a sacred place. Took another video of a pair of cranes courting, in the Platte River. Each put a bill into the river, and they both pivoted around their bills and around each other. Wow. You should have seen it. 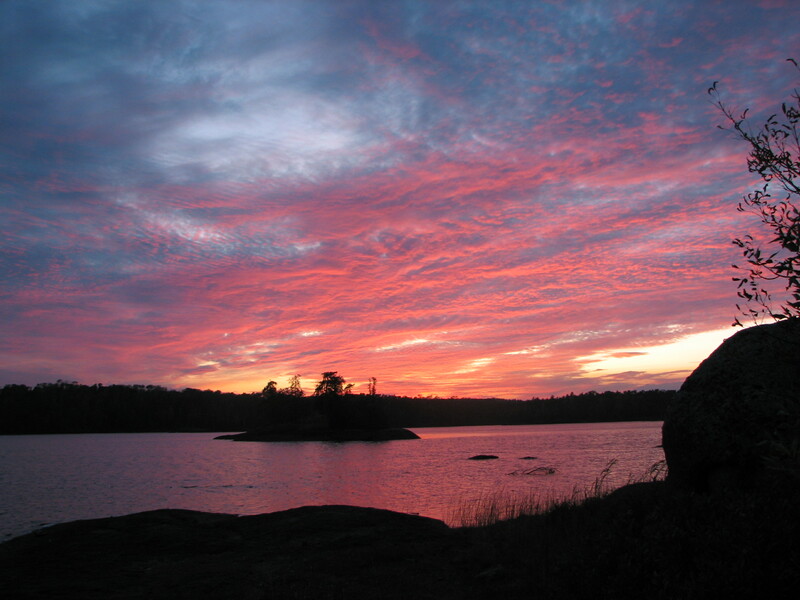 You should have seen the Boundary Waters, before the water became undrinkable in 2020 and the loons disappeared because a sulfide mine brought JOBS to the region. The mine failed, the company went bankrupt and couldn’t clean up the water. They were sorry. Couldn’t find a politician that year in the state who claimed they supported the mine. Sure could in 2010. You should have seen the corn yields in Nebraska before the Ogallala Aquifer was polluted by oil in 2023 and corn ceased to be a crop. Keystone thought the leak was “An Act of God.” They are now bankrupt and express “regret”. None of the 62 senators who originally voted for Keystone will comment on the Ogallala. Nebraska voted Democratic in the 2024 election, but the outmigration allowed them only 3 electoral votes. You should have seen the Grand Canyon, before the Republican Senate decided that the states should own all the federal land, and privatization allowed mining. I remember back in ‘85 when my wife and I were camped out on the Tonto Platform below the Abyss, hearing the flap of a Raven’s wings echoing off the Redwall. You should have heard it. You should have seen it. 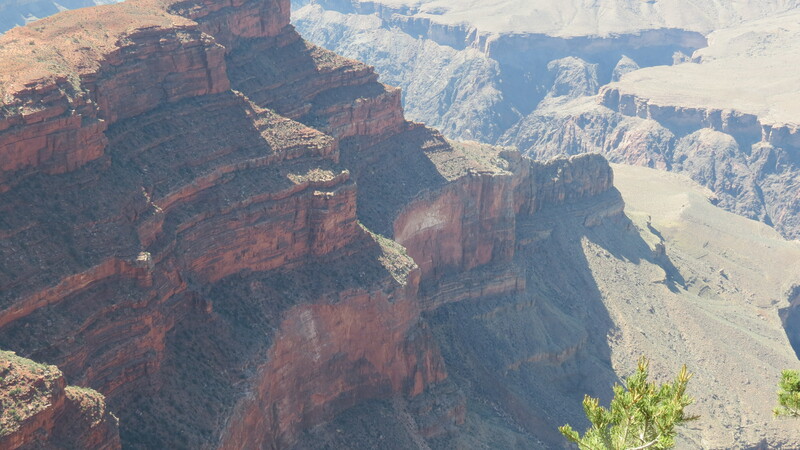 The Abyss, Grand Canyon, 2012. Tonto Platform is to the right. You should have seen the Aral Sea, before it disappeared in the latter part of the 20th century. Nobody seemed to care. You should have seen the Brooks Range of Alaska, when one could be 300 miles from the nearest town, days from civilization, before the road that paralleled it was built in 2025, so that Native Americans could drive to Fairbanks to shop. The Natives seldom used the road, but miners and hunters have, and now the natives are destitute. 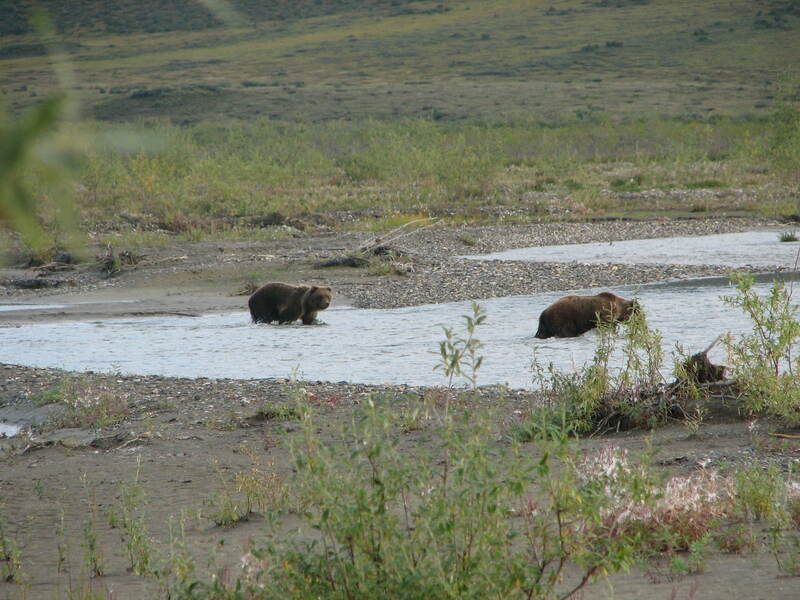 You should have seen the bears I saw on the Noatak in 2010, the sow with 2 cubs and a second year male, marching through our camp one night like we weren’t even there. They had likely never seen humans. You should have seen Churchill, Manitoba in the autumn, before climate change that we were told wasn’t took away all the pack ice and the animals are now only found in zoos. Past president Ted Cruz still claims that “he wasn’t a scientist,” and that he was using the best available evidence when he denied global warming was occurring. You should have seen me nose to nose with a polar bear in 1992, 15 inches separating us. You should have seen the Whooping Crane before they finally went extinct in 2060. I saw nearly ten in my lifetime. You should have seen the Harris Sparrow in central Nebraska. They became extinct ten years later. I saw them. We still have time. But not much. You should have seen how Americans came together and fixed the environment in the 21st century. That’s what I want to hear before I die. This entry was posted on April 14, 2015 at 15:33 and is filed under Uncategorized. You can follow any responses to this entry through the RSS 2.0 feed. You can leave a response, or trackback from your own site. Very evocative and quite lovely!